I hope this note finds you well. Members of the Chancel Choir returned from their residency at Westminster Abbey in London earlier this week, and we are looking forward to having them back with us in worship this Sunday. Those of us who had the opportunity to hear them sing at an Evensong service in that magnificent cathedral gained a new appreciation for how blessed we are here at Peachtree Road. I hope you are planning to join us for worship this week. We will continue with our August sermon series entitled “Faith Questions.” During this series we are wrestling with important questions about our faith, and, at the same time, we are exploring the development of a mature faith through the eyes of the Old Testament character David. Last week, Carolyn Stephens helped us think about our identity and purpose in life as we reflected upon the anointing of David by Samuel. She proclaimed to all with ears to hear: “You are a child of God and you are here for a purpose. You may not be able to change the whole world, but you can change your world. And God has called you to do just that.” Those are good words for us to consider. On Sunday we will consider another faith question: “Why is my life so full of valleys?” Many assume that, because they are Christians, their lives will be smooth and free of conflict and pain. However, mature disciples of Jesus Christ understand we live in a fallen world and there are always challenges. David had his Goliath, and we have giants that we face. I encourage you to read I Samuel 17:38-50 to re-familiarize yourself with the story of David and Goliath. Together we will consider the development of a faith that will not shrink against formidable opponents. I hope you will be present. As a part of the service this week we will hear from a resident of the Murphy-Harpst Center and receive a special offering for the ongoing work of that ministry. Hopefully, you recently received a letter from me offering some history of this transformative community that reaches out to children with few or no alternatives, welcomes them, and gives them hope. A link to my letter is here. Please make your check payable to Peachtree Road United Methodist Church and mark it for “Murphy-Harpst,” give through the church app, or go online to our church’s website and make your gift there. Let me thank you for your participation in the worship survey that was available online for three weeks in July. I received very helpful feedback and am grateful to all who took the time to share their thoughts with me. This information will be shared with our church staff, key lay leaders on the Administrative Council, and with the Committee of 100 and will help guide some of our decisions in the days to come. Finally, in this year in which we are emphasizing prayer, let me make you aware of two new initiatives coming next month. Forum on Prayer – I am pleased that Bishop Larry Goodpaster, Bishop in Residence at Candler School of Theology, will join us on Sunday, September 16, to offer a forum on prayer. Bishop Goodpaster will lead us to a more meaningful practice of this important spiritual discipline, and I hope you will make plans to take advantage of this wonderful opportunity. He will be speaking at 10:00 am in the sanctuary. 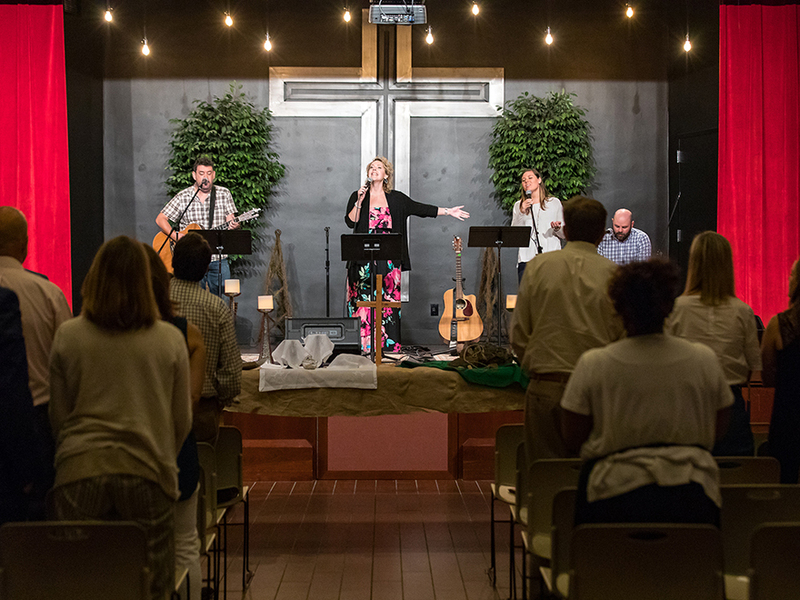 Noon Mid-Week Prayer Service – Many of us have sensed the need for a mid-week time for prayer, reflection, and fellowship here at Peachtree Road. Beginning on September 12, we will be offering a 30 minute service in the Moore Chapel each Wednesday at 12 noon for all who would like to attend. This will be a time of singing, reading scripture, and participating in guided prayer for our community, nation, and world. Please help us spread the word about this new offering. While I was in England, I was struck by the dynamic prayer life of John Wesley. He once wrote in his journal: “I continue to dream and pray about a revival of holiness in our day that moves forth in mission and creates authentic community in which each person can be unleashed through the empowerment of the Spirit to fulfill God’s creational intentions.” That is a prayer worth praying. Thank you for your prayers on behalf of Peachtree Road and the commitment of your presence, gifts, and service to it ministry. I am grateful for you. Please call on me if I can be of help to you in any way. I look forward to seeing you Sunday!